Heat closed contact grill 5 minutes. In small bowl, mix butter, marmalade and marjoram; set aside. Sprinkle lamb chops with seasoned salt, paprika and pepper blend; place on bottom grill surface. Close grill; cook 8 to 12 minutes, turning once, until of desired doneness. 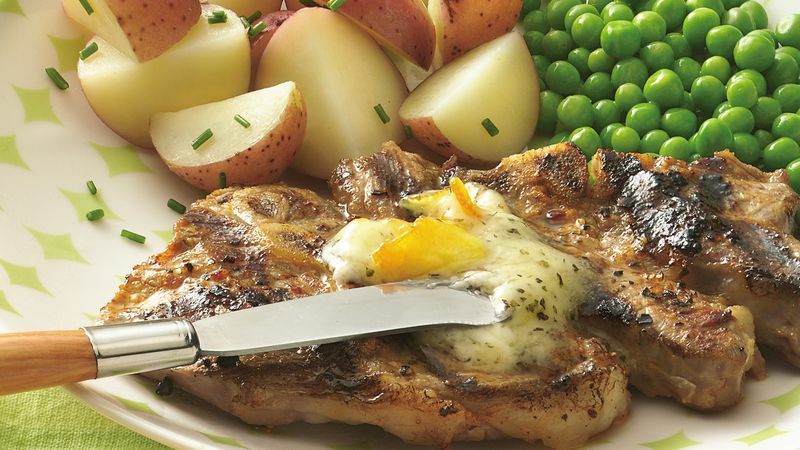 Top lamb chops with butter mixture. For best cooking on an indoor grill, use lamb chops that are 1/2 to 3/4 inch thick. If the chops are too thick, they won't cook through.